A countertop in a kitchen tends to be like a statement necklace for an outfit- it completes the look in a stylish yet subtle manner. 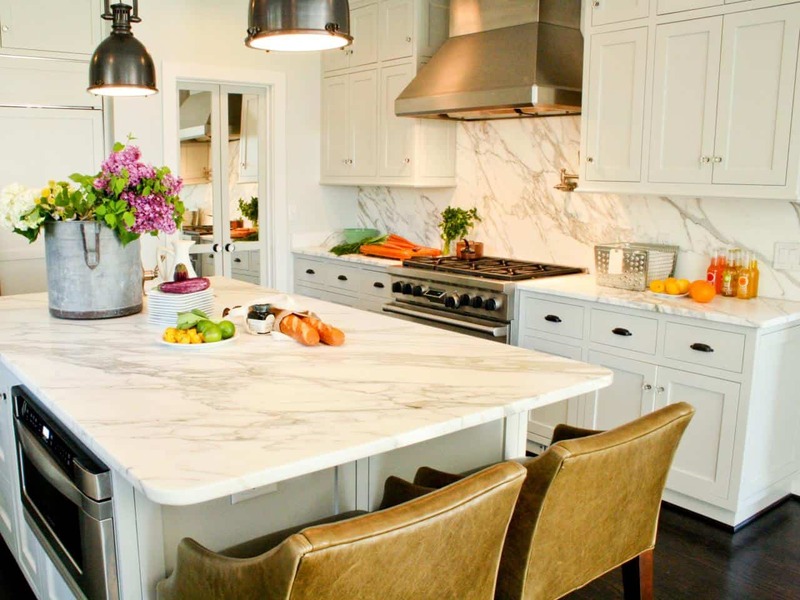 Many times, countertops get overlooked when designing the kitchen space due to many owners not having the knowledge that there are numerous different options to choose from. 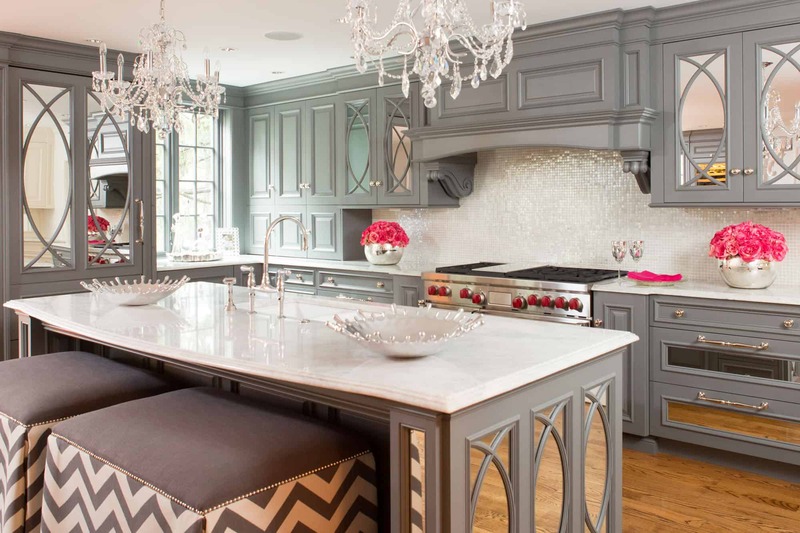 The following stylish kitchen countertop ideas will inspire your next renovation. 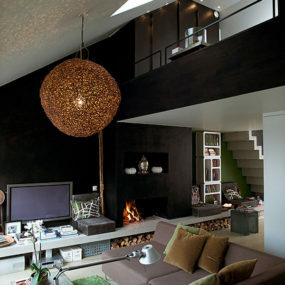 The look of raw concrete is sleek and modern which allows it to work well with darker, more elegant hues such as black. Pair with metal touches such as metallic light fixtures and/or metallic knobs for a bit of eclectic. Raw concrete is super trendy at the moment due to its modern look and feel. 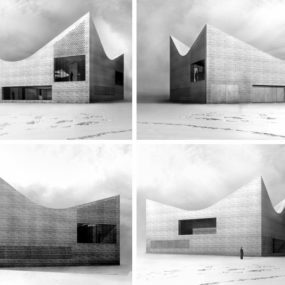 The key is utilizing a chunky Caesarstone that has a raw concrete aesthetic. 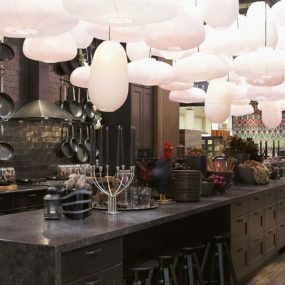 The sleekness of the concrete allows you to go bold with your décor while still being a standout piece in the kitchen. 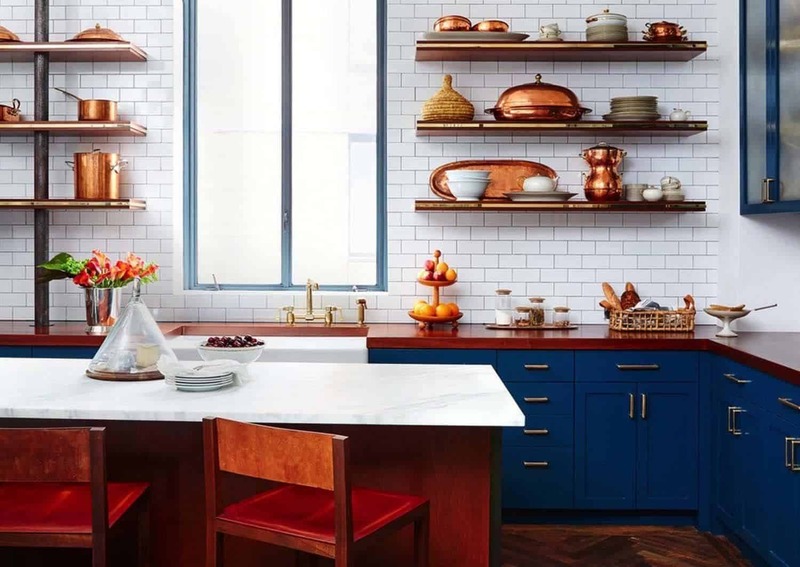 Navy is an excellent complimentary color for a copper countertop, you may even want to add bits of red throughout the space to allow the orange undertones in copper to make the statement they are intended to make. Ensure you add copper kitchen essentials to truly focus on the color. Copper is coming back in a big way- mainly due to its golden, auburn undertones. 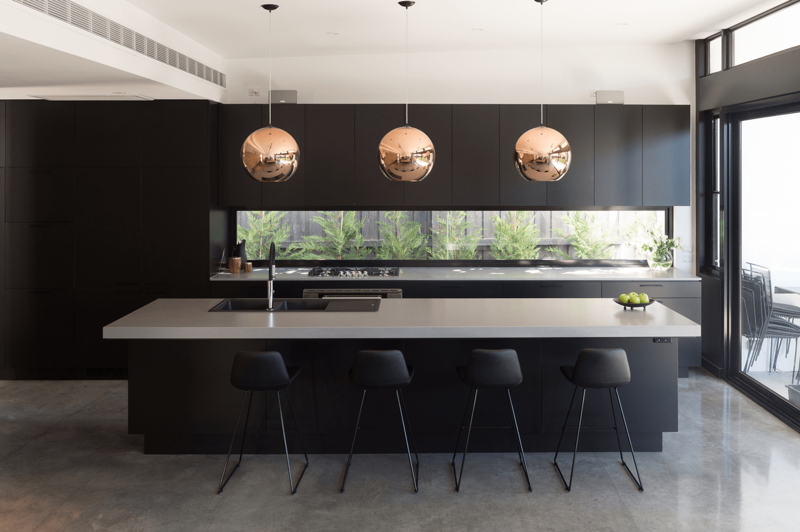 However, many tend to shy away from a copper countertop due to it having the ability to turn green when it is wet for an extended period of time. To avoid this from happening you want to have the countertop lacquered before installing it. Use shades of blue and green to accentuate the golden undertones in the copper hue. Granite comes in numerous different finishes and hues, which is why many love the idea of using it in the kitchen space. Additionally, it is extremely durable and versatile. If you have a small kitchen yet want to make a big impact, there is no greater way to do so than to combine a simple granite countertop with a matching backdrop. The matchy-matchy aesthetics of it allows the area to feel bigger than it actually is while making a trendy impact. Butcher block offers a farmhouse vibe that is quite relaxing and intimate. 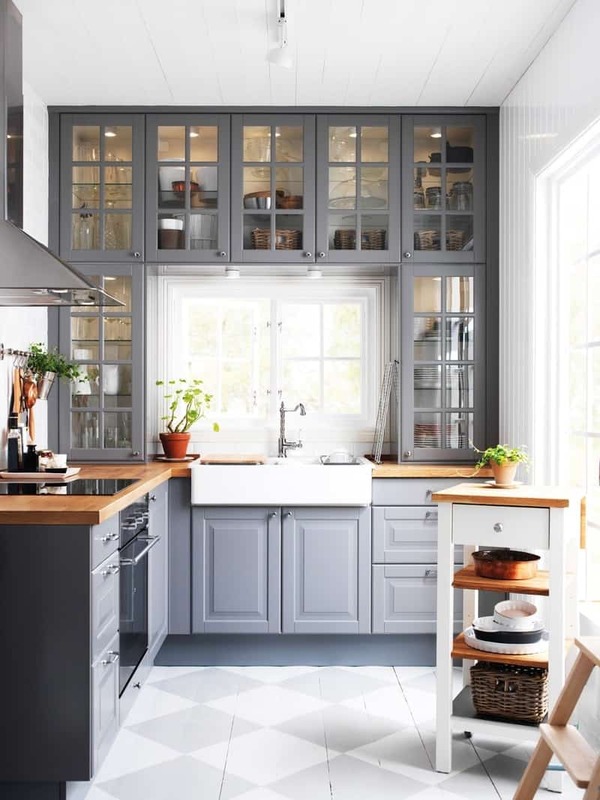 Pair your butcher block with shades of gray, blue, and/or warm tones to ensure the space has that classic appeal to it that makes sense and elevates the space. If you want to create a cozier visual using a butcher block as the main countertop used is the way to go. Having butcher block creates an informal feel that is still elegant, pair with crisp white cabinets to complete the look. Having a glass countertop may not seem like the most versatile thing to have. However, instead of using it all over the kitchen us it as part of your kitchen island. The glass is sleek and crisp while having that modern undertone, merge your glass to with a glossy marble for a chic pairing. Take two like-minded countertop materials and use them throughout your space for a cohesive look that is still interesting and unique. 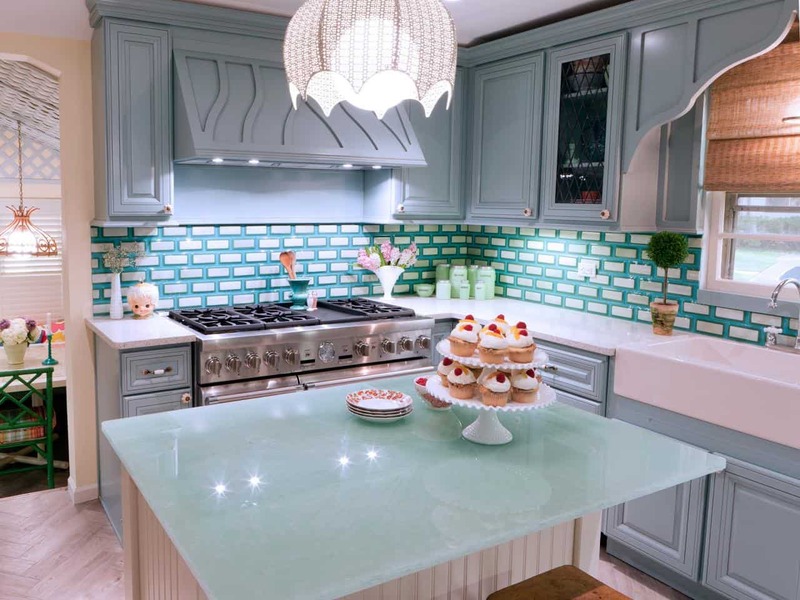 Use white marble and pair it with granite for that sophisticated elegance that simple comes to life when you use pastels and hints of bold hues. Why use one countertop material when you can work in two-three different ones. 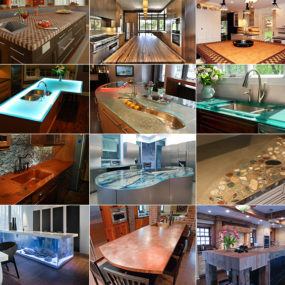 Using more than one countertop material has become a huge trend, especially for those that want to have a modern touch. Use one material for your countertops and incorporate another as part of your kitchen island. The key is using similar tones in both of the materials that you decide to use. 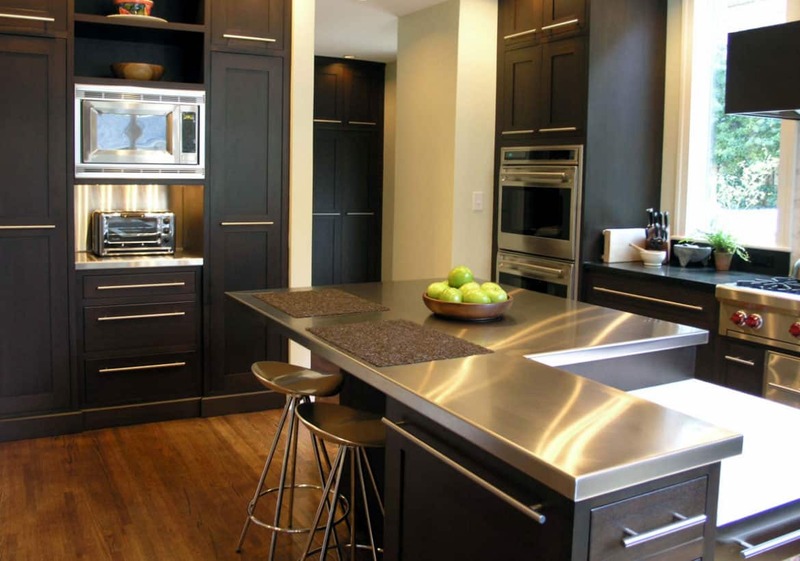 Having iron as part of your countertop decor is perfect for those traditional kitchen designs that need a modern touch. Iron is not only modern but it’s durable which makes it a top favorite for all kitchens that need a pop of something extra in a subtle manner. Iron is one of those countertop materials that simply works while still being extra modern in its own way. Use a dark gray iron for that ultra-modern touch. Pair with classic elements to keep the space cohesive and simple while still being true to its modern aesthetics. Color stone is perfect for the kitchen due to it having a colorful sheen throughout that tends to brighten up the space in the simplest manner. 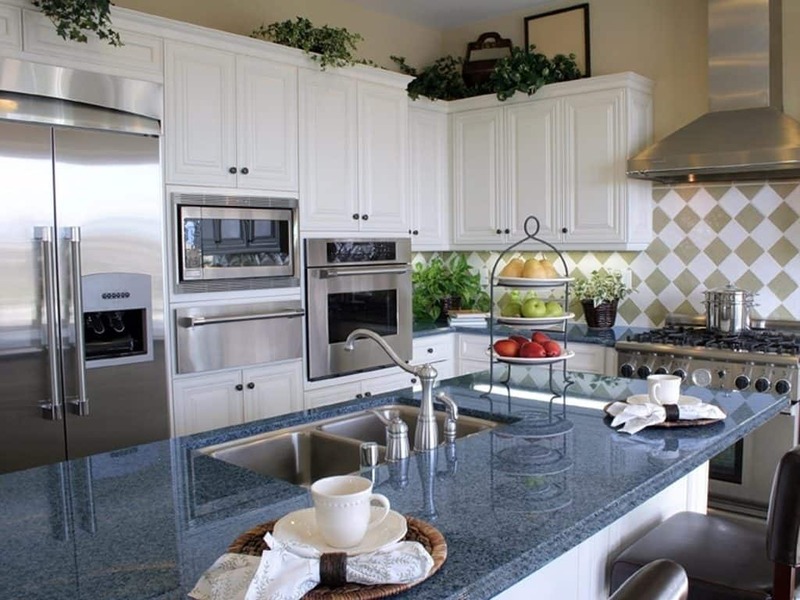 We love the idea of using a blue granite as your colorful stone element it simply works well in most spaces. Color is coming in a big way for the kitchen space and that includes using a colorful stone as part of your countertop. Think of your countertop as an added area where you can showcase color. 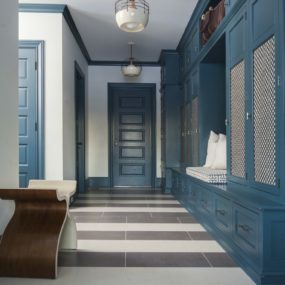 Consider using a pastel shade of marble or even a bright limestone. 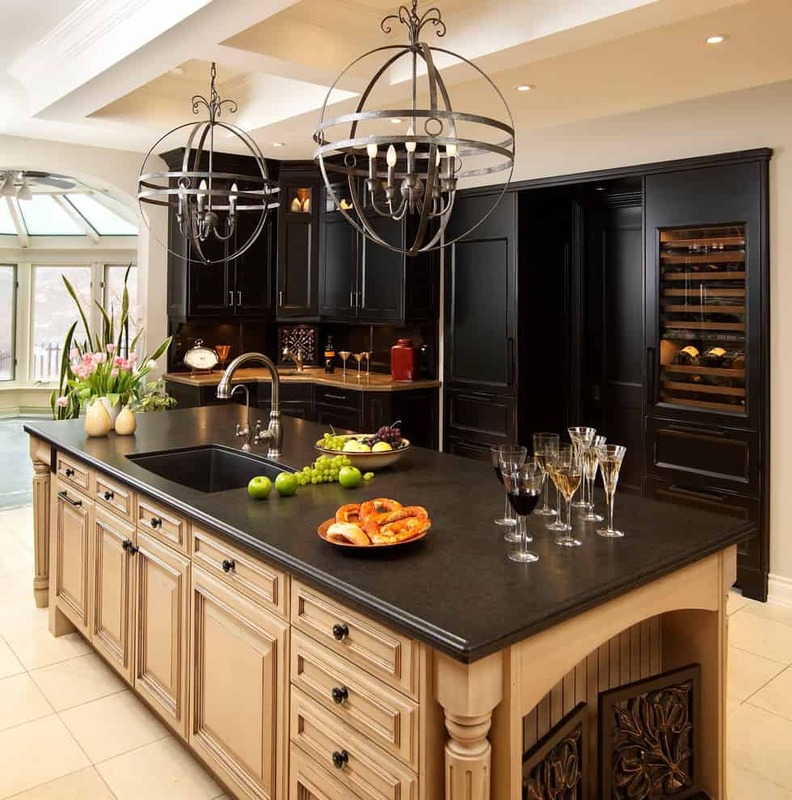 Pair your black granite with bold black accents to really bring that elegant, contemporary touch to your kitchen decor. You may also want to add wooden accents to allow the stark black countertops to be the main focus of the room. A colorful backdrop is always a good idea in the kitchen, but to create the perfect contrast you may want to use a black granite. Black granite is sleek and simple while still making a huge impact in the space. Pair with metallic touches to bring a twist that will elevate the space while still being soft and subtle. 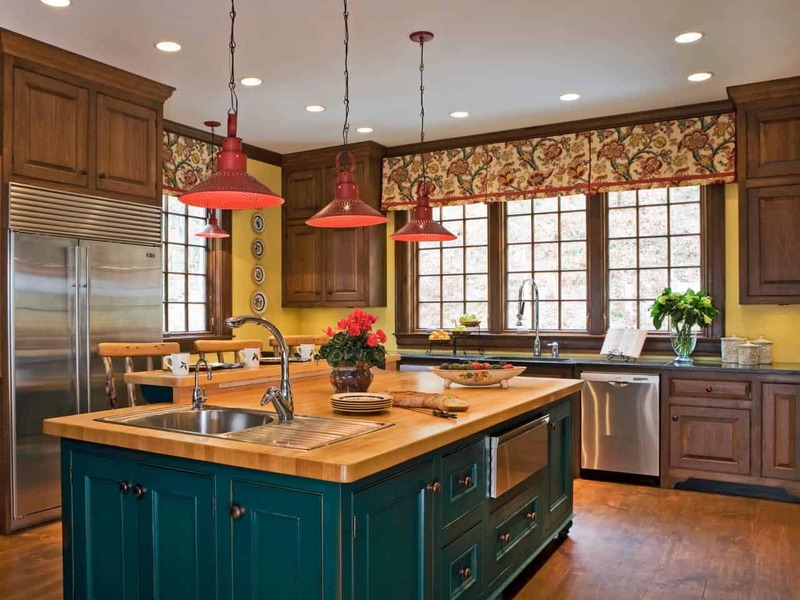 Stained oak comes in multiple different undertones with the ability of working well in numerous different decor setting, especially when it is added into an all wooden kitchen space. The intricate veining in stained oak will hold its own against any other wood used. Have an all-white kitchen, but want to add a rich contrast? If so a stained oak countertop is the perfect contrast. 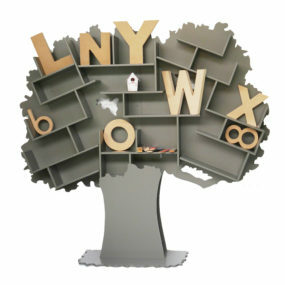 Stained oak is a beautiful display on its own as it has a grounding effect. Add patterns throughout the kitchen to break down the color palette while still bringing in hints of color here and there. If you want to keep the kitchen, mostly white, then use pastel bits for a colorful touch that still has that subtle appeal. 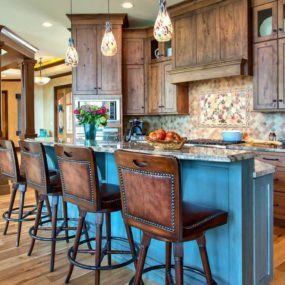 Which of these kitchen countertop ideas are you interested in using in your home? Share with us your ideas in the comments below.